Though the passage of time has dulled the intensity of feelings and controversy related to those fateful days of May 10-11; I still remember them well. I knew six people who were on Everest that year, and the main protagonist of the tragedy, the ace New Zealander guide, Rob Hall , was a friend. The postcard featured here in this blog was the last I received from him, sent from basecamp Everest that year. The flipside has a list of the team members. Three never came back from Everest. In 1953, while attention was focused on the first successful ascent of Mt Everest by Tenzing Norgay and Edmund Hillary; Herman Buhl in, a legendary tour-de-force; went on to make the first ascent , over 41 hours, Nanga Parbat, one of the world’s 14 8000-metre peaks. Notorious for having killed 31 climbers in previous attempts; Buhl spent a night tethered precariously to a 60-degree ice slope, standing up the whole night during his ordeal. He returned to be chastised and then later faced a slew of lawsuits from the expedition leader Dr Karl Herrligkoffer. Two very different climbs and outcomes share some common elements – and that is the failure of communication created bad outcomes for certain individuals. In the 1953 climb, Dr Herrligkoffer, himself an amateur climber of modest abilities; failed to manage the expectations of a topclass alpinist like Buhl. When Buhl’s partner, was unable to continue with the summit push, Buhl was expected to return to Basecamp. Herrligkoffer, as shown by a number of his high profile and complex expeditions, would attempt to ‘lead’ largely from the rear. Ensconced at Basecamp, he would direct the climbers going up in military fashion. When Buhl was faced with a rare window of good weather, and was physically acclimatized to make a risky dash for the summit, he took it. While Buhl suffered recriminations upon his return from what was then arguably the greatest feat in Himalayan mountaineering; the real issue most likely lay in the breakdown in the communication between Buhl and the team leader. Herrligkoffer only countenanced his own decisions versus those made at the frontlines and by people closest to the realities on the ground. In the more mundane workplace , a whole heap of issues could probably also be solved but for the poor managing of mutual expectations related to shared goals and how these would be achieved. The best solution seems to lie in discussing outright one’s personal working style, autonomy of action ( if any) and verbal undertakings of what would amount to acceptable and unacceptable actions. Confirmation bias preventing discussions of other options. Just as pilots make mistakes in a complex cockpit and fail to see some mispressed button or dial, mountain leaders have also to find ways to avoid having such an overload of data as to avoid making mistakes whilst under tremendous pressure. In 1998, I found great relief in conversations with my basecamp manager, Bruce Niven, who was also a former Special Air Service regiment officer. Not being directly involved in the climbing action, he could offer a more detached perspective as to team personalities, and performance. The upshot of good communications is to avoid being so stressed as to fail communicating what you think should be the way forward.. In 1996, under the stress of competition on the mountain from competing commercial expeditions ( all of whom wanted to have a high summit success rate), New Zealander Rob Hall, may have made some decisions that were to affect his team negatively. 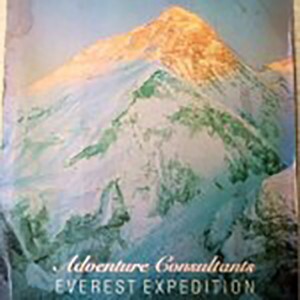 For example, by not having his ‘usual’ trusted guides like Guy Cotter with him, I believe he became more reticent is asking the ‘new’ guides for their opinions on the weather conditions as the fateful May 10th day evolved, or how the whole team was progressing towards the summit. He thus made almost all the key decisions himself that day, including climbing to the top late in the day with client Doug Hansen. This, even though he knew they would have to descend without bottled oxygen; having used it all up for the ascent. Both were pinned down by the storm that swept the mountain later that afternoon, and they perished over the next two days. As leaders, recognize when stress and other factors are causing you to ‘retreat’ into your shell to make decisions in a comfortable , familiar zone, even if the situation is crying out for you to seek other opinions. Saying you are sorry. Saying you messed up or made a mistake goes a long way to quickly win back the support of your team, and the create a team “re-set” when things have gone wrong. Herrligkoffer’s ego after the Nanga Parbat victory led to the souring of relations with the ace climber Buhl. For years afterwards, his lawsuits (and Buhl’s counterlawsuits) took much out of the vaunted success of one of the greatest triumphs of mountaineering. Good communication works both ways, and can help mend wounds, and forge a way forward in better working relationships between parties.